The Entrance; A Step Forward and Upward. 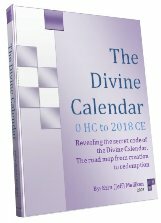 The article picks up our series about Joseph’s Pyramid and its connection to the Future Holy Temple, which we left off late last year (2009). In it, we illustrated a possible design connection to the 6 sefirot (dimensions) of Zeir Anpin (the spiritual linkage between the upper world and our world as defined by the Tree-of-Life) with the placement of the extra wide 50-inch masonry band at the pyramid’s 35th level. It split the pyramid neatly into 1/6th and 5/6th of its height, which itself is a reference to relationship between the Hebrew letters Vav (V) of numerical value 6 and the letter Hei (H) of numerical value 5, the two final letters in the Tetragrammaton (YHVH), which, as we’ve discussed previously, are at the core of both the pyramid and certainly the Holy Temple. If we apply that same split to the width of the pyramid’s base, 330 cubits, we’d have 55 cubits and 275 cubits respectively. And while 275 corresponds to the full value of the 4 expanded aspects of the Tetragrammaton (YHVH) from which the holy cubit (27.5 inches) derives (see previous articles about the holy cubit for details), 275 is also 10 times 27.5, a reflection of the full 10 sefirot (dimensions) in their completion. So knowing that the number 55 (twice 27.5) may play a part in the design structure of Joseph’s Pyramid. Let’s revisit the secret entrance to the pyramid, which is exactly 55 feet off the ground. The secret entrance to the pyramid lies 55 ft straight up the steep highly polished face of the pyramid and was hidden by a massive hinged stone door, seamless and flush to the face. It guarded the secret entrance for thousands of years, and was never actually revealed beyond a need-to-know basis. This is why in 820 CE, Caliph Al Mamoun had to blow a hole in the side of the pyramid in order to open it to the world. He found no gold inside, nor even a King’s mummified body. Indeed, no artifacts or bodies were ever concealed or found within the great pyramid. All the secrets were locked within its measurements and unlocked by knowing the measure of the Holy Cubit, itself only recently revealed. Today, with the magnificent multi-ton casing stones stripped away by earthquakes, time, and urban planners who used them to build mosques in Cairo, we can see and metaphysically enter the Pyramid the proper way. What we find first is that on the 19th level of the masonry, 55 ft up, and 24 ft off center from the Pyramid’s exact central axis, is the proper gabled entrance to the Pyramid, with the Tetragrammaton (YHVH) engraved above it, the true guardian of the secrets. Of course, 55 feet being exactly equal to 24 cubits is just another bit of beautiful symmetry incorporated into its design. And this symmetry connects us to the Future Holy Temple, which is the whole reason we’re writing about the pyramid and may be the real reason the pyramid was constructed in the first place. In a subsequent article we’ll explain the reason that the upper platform of the Future Holy Temple’s centrally located Alter measures 24 x 24 cubits and telescopes down to a base of 32 x 32 cubits. For now, let’s just note that they are connected. Don’t forget, that since 24 cubits = 55 feet, the upper platform of the centrally located Alter of the Future Holy Temple measures 55 ft x 55 ft. Which means that the mysteriously dimensioned Washington Monument of base 55 ft x 55 ft would fit seamlessly atop the Alter of the Future Holy Temple. We can ask ourselves why? Why does this Egyptian Obelisk at the center core of the US power base connect to the Great Pyramid in Egypt, at the exact center of the world’s land mass, and why is it designed to fit snugly atop the Alter at the exact center of the Future Holy Temple, the nexus point connecting our world and the spiritual one. Briefly, the measure of the 50 cubits is its connection to the 50 gates of Binah, the upper spiritual dimension of Understanding, and should be noted if one wants to use the last three lines of the Ana B’koach as a gateway. This is also an allusion to the 50-year jubilee period that the Torah commands us to count. As for the hidden entrance 55 ft up being on the 19th level of the pyramid is not so surprising to those initiated to its secrets, or entrusted to keep its secrets. As the kabbalists well knew back then 55 is numerically in Hebrew represented by the letters Nun (50) and Hei (5) and the ordinal value of Nun (14) and Hei (5) together sum to 19. Meanwhile, it was also well know that the two Letters Hei (H) of the YHVH were both gateways and while the lower Hei(H), representing the world of Malchut, maintains its value of 5, the upper Hei(H), representing Binah rises to the level of 50. Together, they are 55. The secret to all this is found in Genesis 42:2, when Jacob tells his sons to go down to Egypt, and thus begin the 210 years of exile there. I will explain this in another brief article shortly, for now, please just note that the verse begins with the Hebrew word Hineh (HNH) containing the 2 gates (HH) and the (NH). Given the spiritual importance of Alter of the Future Holy Temple, and of any entrance, it’s not so surprising the the pyramid’s entrance was hidden 55 feet high, especially with what we know (and will reveal in subsequent articles) about the advanced scientific knowledge programmed into the pyramid’s dimensions. Nevertheless, before we actually enter the pyramid we should ask what the simple connection is between: the pyramid’s capstone being 32 ft x 32 ft; and the Future Temple’s Alter being 32 cubits x 32 cubits at its base; also with the Alter’s summit platform being 55 ft x 55 ft; and the base of the entire pyramid being 55/2 ft x 55/2 ft; and with the entire pyramid’s base perimeter (3025 ft) also being 55 ft x 55 ft.
Basically what’s the deeper, spiritual, connection between 32 and 55? The numerical value of Kavod (KBVD) is 32 and when you add its ordinal value you get 55, so both these figures were intertwined into the pyramid’s structure to represent the Glory of G-d,. The great Pyramid never stood for some Egyptian Pharoah, who never occupied the Pyramid. When Al Mamoun blasted his way in and the 3 gigantic granite plugs were remove from the ascending passage, all the chambers were empty–no pharaoh, no retinue, no gold, no hieroglyphics, nor any carvings of any kind, just lots of secret knowledge hidden in the pure numerical dimensions. That’s not to say there was no power there, just none tied to pagan gods of beliefs. 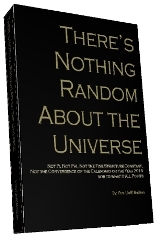 Author Jeffrey MeilikenPosted on September 3, 2010 September 4, 2010 Categories RevelationsTags 13.75, 1375, 19, 210, 210 years, 24, 27.5, 32, 42, 42-letter name, 422, 50 cubits, 50 gates, 55, 55 ft, 756.25, 820, 906, Al mamoun, Alter Holy Alter, Ana B'Koach, ancient cubit, binah, Cairo, capstone, cubit, Egypt, egyptian, egyptian exile, egyptian obelisk, exile, Future Holy Temple, future temple, gate of 42, glory, God's glory, great pyarmid, Great Pyramid of Giza, havod, holy cubit, Holy of Holies, Holy Temple, Joseph, jubilee year, obelisk, ordinal value, pyramid, secret cubit, sefirot, Tetragrammaton, Third temple, washington d.c., washington monument, YHVH3 Comments on The Entrance; A Step Forward and Upward.